SHARMINI PERIES: It’s The Real News Network, I’m Sharmini Peries, coming to you from Baltimore. 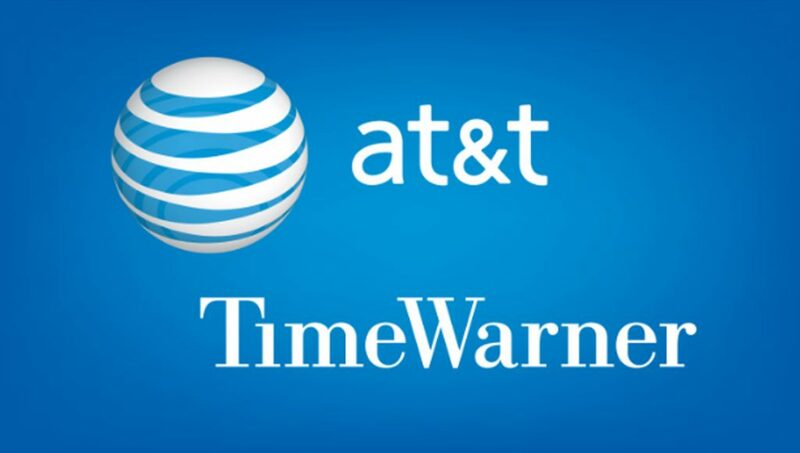 A federal judge ruled on Tuesday that the proposed eighty-five billion-dollar merger between AT&T and Time Warner may proceed because it does not violate U.S. antitrust laws. Judge Richard J. Leon, of the United States District Court in Washington, argued that the merger would not reduce competition because AT&T and Time Warner operate in different markets. AT&T distributes content, while Time Warner, which owns HBO, CNN, Warner Brothers Studios among other divisions, create content. Now, during the 2016 presidential campaign, then candidate President Trump complained about the proposed merger, saying that, as president, he would stop it. Here’s what he said. DONALD TRUMP: AT&T is buying Time Warner and thus CNN, a deal we will not approve in my administration because it’s too much concentration of power in the hands of too few. Deals like this destroy democracy. And we’ll look at breaking that deal up and other deals like that. SHARMINI PERIES: Trump’s justice department did indeed challenge the merger. But Makan Delrahim, the assistant attorney general of the antitrust division of the U.S. Department of Justice, had to argue that the president, in fact, did not interfere in the decision to challenge the merger. After the ruling was made public, Delrahim had this to say. He said, “We continue to believe that the pay TV market will be less competitive and less innovative as a result of the proposed merger between AT&T and Time Warner. We will closely review the court’s opinion and consider next steps in light of our commitment to preserving competition for the benefit of American consumers,” he said. Well, joining me now to discuss the consequences of the AT&T/Time Warner merger is Jeff Cohen. 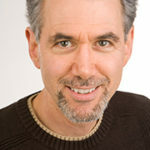 Jeff is founder of Fairness and Accuracy in Reporting, co-founder of RootsAction.org and the former director of the Park Center for Independent Media at Ithaca College. Jeff, I thank you so much for joining us. JEFF COHEN: Great to be with you. SHARMINI PERIES: All right, Jeff. Let’s start off with your thoughts on this merger. If the Justice Department does not challenge this, it is scheduled to be finalized on June 20. So, what does this mean and what are the consequences of this decision? JEFF COHEN: Well, I’ve been following these mergers in the media for decades. And a merger this huge, this will create the biggest telecommunications slash media company in the world. It usually sets off a rash of mergers. And it has to be understood that the Trump Justice Department challenged this merger in very, very narrow grounds, ridiculously narrow grounds, that if this merger went through, it would hurt other cable distributors’ access to content, you know, Time Warner programming. That’s a ridiculously narrow way of objecting to this. The main fear, the main threat of this merger, of AT&T taking over Time Warner, is a threat that the Justice Department of the Trump administration couldn’t raise in court because the Trump administration is opposed to net neutrality. And the main threat- remember, AT&T is one of the biggest Internet service providers. And the Justice Department did not even raise that if AT&T now controls all this content; Time Warner content, Warner Brothers content, CNN content, Time Magazine content, People Magazine content, that the threat that an unleashed Internet provider, who’s got no net neutrality constraints, will just favor their own content, their own websites, and put them in a fast lane and disfavor and shove into a slow lane, websites that they do not own, websites that they do not like, websites that do not pay them. And, you know, on other grounds, that a- say, if the Justice Department were under a President Bernie Sanders, the Justice Department might have objected to this on the basis that AT&T has said, this is going to increase their profits from targeted advertising on the Internet, which could lead to wholesale abuses of the Internet users’ privacy. So, there were a lot of grounds to object to this merger. You did not hear it from the Trump administration. And the other way that the Trump administration is widening the swamp, expanding the swamp in Washington for big corporate interests, is they keep appointing pro-corporate judges. And the judge who made this appalling ruling- as you mentioned, Sharmini, Judge Richard Leon. He was appointed by George W. Bush, I believe, in 2002, a pro-corporate judge. 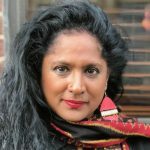 SHARMINI PERIES: Jeff, let’s park the issue of net neutrality for a moment and say the main argument that AT&T and Time Warner used, in favor of the merger, is that they needed to integrate vertically. Now, that is to say, the need to combine content distribution with the content creation so that they do not fall behind against competitors. Let’s dig into that argument a bit and listen first to the CEO of AT&T, and what he recently said. JOE KERNEN (MSNBC): Unless all the people considering your deal are like, eighty or something, if they’re not living in the “new world,” they should probably understand that some of the- you’ve got some nimble competitors that weren’t around ten years ago that you need to factor into whether there’s really antitrust concerns. RANDALL STEPHENSON (CEO, AT&T): That’s kind of one of the interesting parts about this whole debate, this swirling around our deal. There’s this concern about vertical integration. Reality is, the biggest distributor of content out there is totally vertically integrated. This happens to be somebody called Netflix. But they create original content, they aggregate original content and they distribute original content. They have one hundred million subscribers. Look at Amazon. They’re doing the exact same thing. Amazon Studios, creating, aggregating and distributing. And you can go to Google and YouTube. I mean, Hulu. This thing is prolific and it’s moving fast. SHARMINI PERIES: All right, Jeff. Let me get you to respond to what they were just discussing. JEFF COHEN: I think it’s utterly absurd. That- vertical integration is dangerous in every industry. It’s especially dangerous in the media industry. You know, in 1948, the United States Supreme Court ruled in the Hollywood antitrust case that the- remember, back then, the movie studios produced all the movies, owned the movie theaters. And the Justice Department said it should be broken up, and the U.S. Supreme Court was clear that, yeah, you want to own movie studios that produce the content, you can’t own movie theaters that showcase, that conduit, the content to the public. It made sense then and it makes sense now. And it makes sense especially in the era of net neutrality being attacked by the Trump administration. This is something the owners of AT&T, who have worked hand in hand with the Federal Communications Commission of Trump, won’t talk about. That we are now in an era where three companies control the conduit, and those are Verizon, AT&T and Comcast, they control the conduit to the public. And so, with AT&T, if they’re allowed to take over Time Warner, as it looks like they will be, they will be able to control not only the conduit- our Internet, our broadband- but the content. And therefore, if net neutrality is weakened- and that’s what AT&T is also working on, hand in glove with Trump’s Federal Communications Commission, the websites that AT&T owns will definitely be in a fast lane. And websites like The Real News or Democracy Now! or CommonDreams.org will be shoved into a slow lane. The same thing applies to Comcast. Comcast was allowed- they’re a conduit, they bring the content to you. And then they were allowed to take over NBC Universal. And now, Comcast is eyeing 21st Century Fox so they will be able to take their content and elevate it into a fast lane and push other websites into a slow lane. AT&T is the other of the three big internet providers, and they already own Huffington Post and other AOL publications. And now, we know that Verizon is eyeing- Verizon, which already owns AOL, Huff Post- they’re eyeing CBS. So, this idea that when you have this opportunity to stop a conduit from controlling all of this content, the idea that that’s archaic, is crazy. Yeah, sure there’s problems with Amazon. And antitrust people should look at that. But you don’t approve these mergers that are going to allow three Internet providers to favor their own content and push independent producers of content into a slow lane. It makes absolutely no sense. And frankly, the public should be utterly riled up by this. And it’s all the more reason why consumers and activists need to preserve net neutrality. And that’s happening a lot with consumers demanding that their states take action against the Feds and against the Federal Communications Commission, and guarantee net neutrality within their state, or move toward net neutrality within their state. And of course, in the U.S. House, people can write their member of Congress. And there’s this thing called the Congressional Review Act, where if enough members of Congress get behind it, it’s already passed the U.S. Senate with some Republicans joining the Democrats, then they can review the Federal Communications Commission, Trump’s effort of the Federal Communications Commission, to end net neutrality in collaboration with AT&T, Comcast and Verizon. SHARMINI PERIES: Please join me for my continuing discussion with Jeff Cohen about the eighty-five billion-dollar merger between AT&T and Time Warner. And of course, the implications that’s going to have, combined with the opposition to net neutrality, we are facing today.